A couple of weekends ago I spent some time reminiscing with my mum, looking through her gigantic collection of family photos, when one in particular caught my eye. My mum was casually lounging on the sofa rocking a pale yellow boiler suit with chunky zip and handy pocket. That’s when I realised that I was missing this essential from my wardrobe. 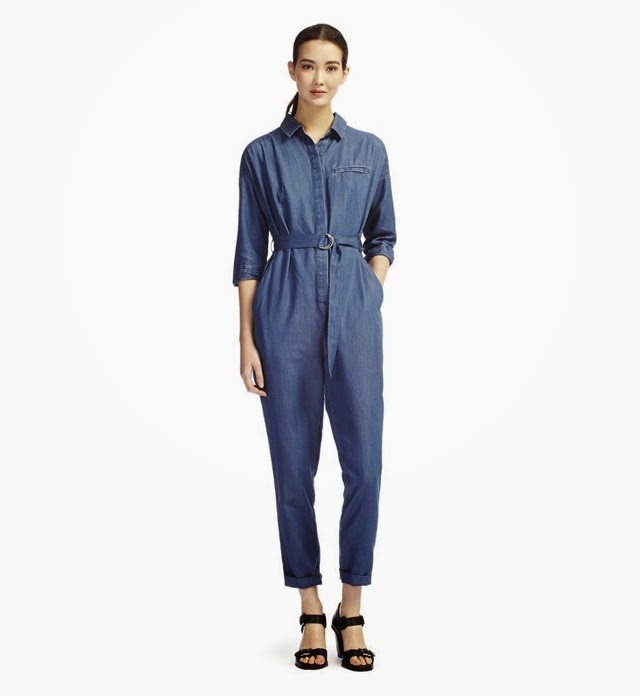 This Whistles Chambray Shirt Jumpsuit is nailing it. We’ve got dropped shoulders, deep pockets, a rolled sleeve, tapered leg and a D ring belt. It’s everything that I like in an outfit. It’s casual, comfy, relaxed, practical and can just be thrown on making you good to go. Essentially, it’s just a giant baby grow but in denim. And there’s nothing wrong with that. I for sure want one.